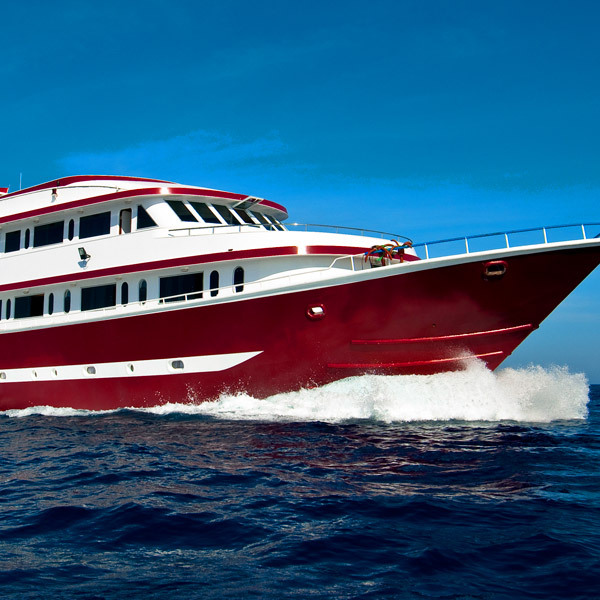 Cassiopeia, the 5-star diving safari liveaboard, was built based on years of experience. The main aspects were comfort and safety. Thanks to the large spaces and the huge sun deck, the guests do not feel confined during the 1-week safari. Everyone returns home from the safaris relaxed and rested. The crew’s kindness and experience guarantee quality service. 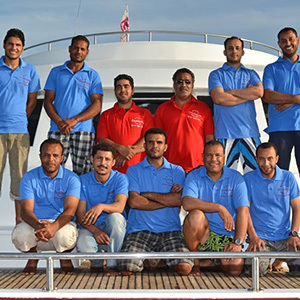 We look forward to seeing onboard everyone eager to dive with Cassiopeia! European Salon The spacious lounge area is air-conditioned and well equipped with an LCD TV, VCR, DVD and CD player and furnished according to European style. Arabian cafe The spacious room follows the original Oriental coffee shop design with shisha (waterpipe) smoking possibility, coffee, tea and original Arabic music. Sun deck The comfortable 100-square-metre sun deck provides plenty of space for sun seekers, as well as shaded area. Comfortable deck chairs and cushioned seats make time more pleasant. There is a smaller sun deck in front of the captain’s bridge. Covered deck In front of the salon is a comfortable open but covered area for resting and chatting between dives and in the evening. The large dive deck and dive platform area ensures more-than-adequate space for divers preparing for their next plunge into the Red Sea. 2 hand-held showers on the platform allow for a rinse after diving or snorkeling. A bathroom with shower and marine head leads directly off the dive deck. Rental of diving equipment can be arranged but should be booked well in advance. We do not keep rental gear on board. Tanks: 20x 12l aluminum and 10x 15l steel tanks. DIN connections are recommended. Weights are provided at no charge on the boat. Zodiacs: 2, each equipped with a 40HP engine. Every cabin is air-conditioned with hot-water shower, sink and toilet in the en-suite bathrooms and bed sheets and towel are provided for all our guests.